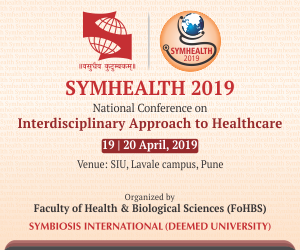 “With rising scope of application along with demand for effective vaccines and drugs to improve healthcare access to patients with unfulfilled medical requirements is predicted to increase the market’s demand in the next six years. Rising need for biotechnology based therapeutics and diagnostics solutions such as recombinant technology, DNA sequencing, and red biotechnology is said to propel this market over the forecast period,” as per the Market Research Globe. Various go-aheads from the government regarding the importance towards the growth of the economy are predicted to promote the biotechnology market in forecast period. Organisations such as Department of Biotechnology (DBT), along with other government-aided institutions like National Biotechnology Board (NBTB) and other self-reliant organisations that symbolise biotechnology industry sponsors funds to help R&D and product development actions related to the field and are supposed to drive the market’s growth from 2013 to 2020. In countries like China, U.S., and India there is a huge demand for food products such as rice, wheat, beans, and sugarcane, due to the alarming increase in the rate of population. This is said to have a lucrative growth of biotechnology industry in the future. Extensive and in-depth R&D activities are being developed owing to number of reasons such as shortage of water, low yield of crops, pest attacks and limited agricultural land availability. Genetic Modification (GM) and genetic engineering over agriculture products are two applications in biotechnology which is driving the market growth of this industry. Biotechnology has many has been sectioned on the basis of application and technology. On the basis of technology, the biotechnology market has been segregated into tissue regeneration, fermentation, nanobiotechnology, chromatography, DNA sequencing, PCR technology, cell-based assay and others which include genetic engineering, enzyme technology, and fingerprinting among others. The regeneration and tissue engineering segment dominated the overall market industry with US $87.92 billion in 2013. Nonetheless, cell-based assay and DNA sequencing segment is predicted to foresee a positive growth till 2020 owing to R&D initiatives by several biotechnological and pharmaceutical companies. Biotechnology’s tissue engineering has vast usage in various diseases as it is used in producing and rectifying organs and cells, especially the cells which has lost its functionality because of any kind of injury or burns, diabetic ulcers, aging, and congenital abnormalities. Increasing number of diabetes cases boosts tissue regeneration and repairs islet cells of the pancreas. Alzheimer’s and Parkinson’s disease are on the rise and hence being the key driving force of this market. DNA sequencing is applied in various verticals such as biology, medical, geology, and agriculture. Therefore it is predicted to grow at a CAGR of more than 18.1 percent during the forecast period. Factors impacting this industry’s growth are reducing cost of DNA sequencing, demand for PCR technology along with new discoveries in nanotechnology and bioinformatics field. On the basis of application, the global biotechnology market is split into four primary segments such as, bioagriculture, bioindustrial, biopharmacy, and bioservices. Biopharmacy dominated the overall industry with approximately US $184.21 billion revenue. It was segmented into monoclonal antibodies, recombinant proteins, drugs and orphan drugs. Recombinant proteins are said to rule the biopharmaceutical market during the forecast period due to many vaccines made with the help of biorecombinant proteins which can treat various diseases. Bioservices segment preponderantly comprises of CROs (Contract Research Organizations). These are third party organizations which perform drug discovery, clinical trials, and contract manufacturing. Bioagriculture consists of genetically modified (GM) crops, bioseeds. On the other hand, bioindustrial application includes the usage of biochemicals and bioenzymes for several chemical procedures. Geographically, the global biotechnology market is sectioned into Europe, Latin America, North America, Asia Pacific, and MEA. 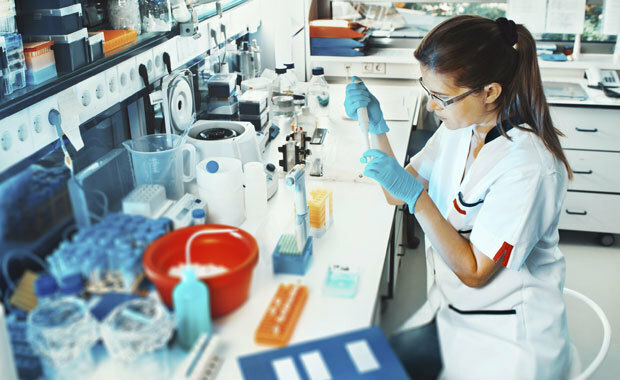 North America had the hugest share of the overall industry in 2013; it generated revenue of more than 42.30% leading initiatives in R&D by several pharmaceutical companies. By the year 2020, Asia Pacific is predicted to gain substantial market share and touch approx US $145.9 billion. A few key factors driving the growth of this market are increasing awareness about the advantages liked with adoption and invention of healthcare benefits by the government. The global biotechnology market in fused in nature and the key players in the market are AstraZeneca plc, Abbott Laboratories, Inc., f. hoffmann la roche ltd, Celgene Corporation, GlaxoSmithKline plc, Genzyme Corporation, Amgen, Inc., Amgen, Inc., Biogen Idec Inc., Novartis International AG, Lonza Group Ltd., Genentech Inc., Merck & Co., Inc., Novo Nordisk A/S, Johnson & Johnson, Gilead Sciences, Pfizer, Inc, Teva Pharmaceutical Industries, Alkermes, Cubist Pharmaceuticals and Sanofi. In 2013, the market was dominated by Roche diagnostics with a revenue share of 17.1 percent. The important strategies followed by these big companies in order to attain market share include strategic collaborations, consolidations, outsourcing R&D, along with manufacturing activities. For example, Sanofi-Aventis registered into collaboration with Bristol-Myers Squibb, Transgene, and Joslin Diabetes Center for the development of immunotherapy and diabetes products. In order to sustain and increase presence in Latin America, the company took over Genfar which is a leading pharmaceutical company in Colombia. It has also evolved and took on Pluromed to expand its existence in biosurgery.